Just a heads-up on a very nice Mother’s Day deal from Amazon: buy a $189 Kindle 3 Wi-Fi + 3G, or a $379 Kindle DX 2 with 3G, and get a free $25 Amazon gift card. They also include free shipping. That’s like getting the Kindle 3G (review here) for just $164, which is a great deal. The deal lasts until May 8, 2011. 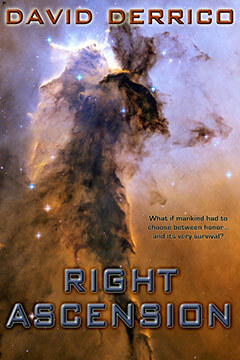 In celebration of “Read an E-Book Week” (March 6–12), I’m running a sale on my e-books at Smashwords this week. My e-books at Smashwords are DRM-free, and are available in multiple formats, including MOBI (for the Kindle), ePub (for the B&N Nook, Kobo, Sony, and Apple iPad), PDF, and more. You can also read a lengthy sample (25%) of any of my books there. I hope you enjoy them if you decide to give them a shot this week! Happy e-reading! The Nook is one of the most popular competitors to Amazon’s Kindle. Both sell for $259, and both include a 6″ e-Ink screen, free 3G wireless downloads, and the ability to store and read thousands of e-books. The Nook comes with a small color LCD touchscreen below the main B&W e-Ink display. The color screen can show book covers, various menus, and an on-screen keyboard. On the plus side, it is helpful to see covers in color or browse the Internet. On the minus side, it can sometimes slow down the device and it drains the battery much more quickly than the e-Ink screen. 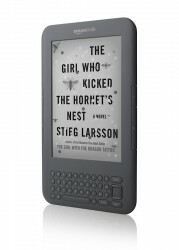 The Nook also comes with an SD memory card slot, and includes WiFi connectivity. Barnes & Noble gives you some freebies (cookies & e-books and such) when you bring your Nook into a B&N bookstore. The Nook reads the more-standard ePub format (along with PDFs and text files), and can borrow e-books from some libraries using the Overdrive system. A large part in any Nook vs. Kindle decision might be whether you prefer shopping at Barnes & Noble or Amazon. Amazon is known for having the largest selection and lowest prices for e-books, but B&N is probably a close second. The $50 gift card gives the Nook a significant advantage, so it’s like getting the Nook for just $209. That’s a heck of a deal for a dual-screen e-reader with free lifetime 3G wireless coverage included. UPDATE: The Nook is now priced at $149 for the Wi-Fi model and $199 for the 3G model.